MADRID, Spain (AFP) — Letters thrown from death trains, tiny children’s shoes, a Nazi gas mask and hundreds of other objects from Auschwitz are going on display in Madrid as a roving exhibition on the Nazi extermination camp opens. Some will leave the memorial site of the German death camp in Poland for the first time for an exhibition that starts in the Spanish capital on December 1 before heading on a tour that will take in a dozen cities in Europe, America, Asia and Oceania. Items include inmates’ drawings found in a bottle hidden in the camp, a piece of electrified fence and an original carriage like those used to take Jews, Poles, prisoners of war, gypsies and others to the camp where over 1.1 million people died during World War II. More than 600 objects will be on display for those who can’t travel to see Auschwitz-Birkenau, the Nazis’ biggest concentration and extermination camp where hundreds of thousands were killed in the gas chambers or died from starvation, disease and exhaustion before it was liberated 72 years ago. Entitled “Auschwitz: Not far away, not long ago,” the exhibition will stay in Madrid until June before starting its global tour. “It’s very important that Auschwitz gets out into the world,” said Luis Ferreiro, project director and head of the Spanish company Musealia which created the exhibition with a team of experts led by Dutch historian Robert Jan van Pelt. The precious few who survived the ordeal and can give a witness account are fast disappearing, such as Hungary’s Imre Kertesz, the Nobel Literature Prize winner who was deported to Auschwitz when he was just 15, and died last year. “It’s the first time that a major collection of original objects leaves the national Auschwitz-Birkenau museum and leaves Poland for a roving exhibition,” Ferreiro told AFP. 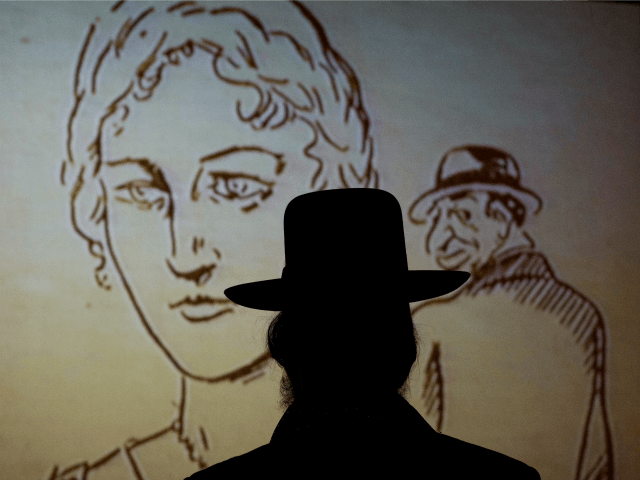 Other institutions and private collectors from various countries also contributed to the exhibition which seeks to shed light on various aspects of the camp, such as the grisly process of selecting victims. 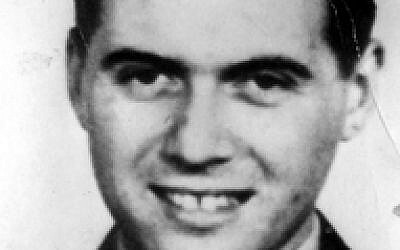 One section explains how notorious camp doctor Josef Mengele, the so-called “Angel of Death” who dispatched people to the gas chambers and carried out often lethal experiments on inmates, would “look for twins” among the new arrivals — one of his favorite test subjects. Survivors recall being given injections of bacteria for “research” purposes. According to the Auschwitz-Birkenau museum website, after a series of examinations, twins were often killed with lethal injections of phenol to the heart to facilitate the next phase of research — autopsies and the comparative analysis of their internal organs. Among the exhibits is an operating table used at the camp, even if it can’t be said “with certainty that it was used by Mengele,” said Ferreiro. Fernando Arlandis of Madrid’s Arte Canal center, which is hosting the exhibition, said organizers wanted to show physical evidence of the slaughter. On the wall is a quote from the account of Rudolf Hoess, a senior Auschwitz commander. “I viewed the killings in block II, wearing a gas mask,” he wrote in 1946. Next to the quote is a gas mask which was “used in Auschwitz” alongside a box of Zyklon B, a cyanide-based pesticide used for mass executions. Drawings by former Polish prisoner Jan Komski, who died in 2002, bear witness to the cremation of bodies and to the violence that was endemic in the camp. One of them shows a “kapo,” a prisoner assigned to supervise others, on a cart pulled by inmates whom he is whipping. In another room is one of the wooden barracks where prisoners were housed. Some 1.1 million people, most of them European Jews, died at Auschwitz-Birkenau, which Nazi Germany set up in occupied Poland in 1940 and which became Europe’s biggest death camp. More than 100,000 others including non-Jewish Poles, Roma, Soviet prisoners of war and anti-Nazi resistance fighters also died there before the camp was liberated by Soviet forces in 1945. Of the camp’s 6,500 SS personnel who survived the war, fewer than 50 were ever convicted. “We feel the growing presence of racism, anti-Semitism and xenophobia,” said Polish historian Piotr M. A. Cywinski, director of the Auschwitz-Birkenau museum.